We will continue to produce this old kit version on special order only but please read this note! The F-15 EAGLE kit has become one of the most popular models for newcomers to jets. 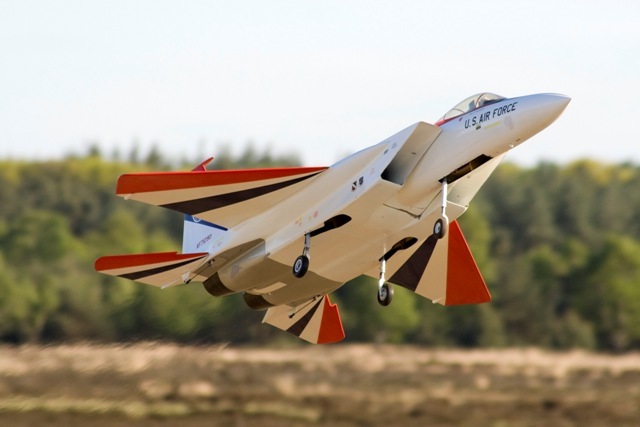 Many novice jet pilots have entered the Turbine scene with this simple scale model. 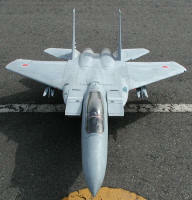 As a trainer, the model requires only a standard 5 channel, 5 servo radio with a mixing function (taileron). 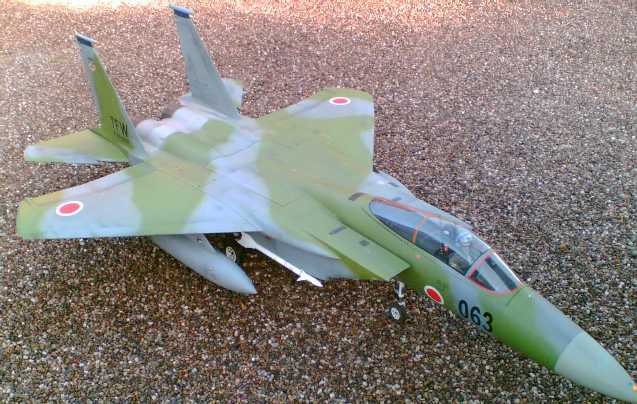 Of course this jet can be upgraded with a variety of scale options to satisfy the most demanding scale modeler. 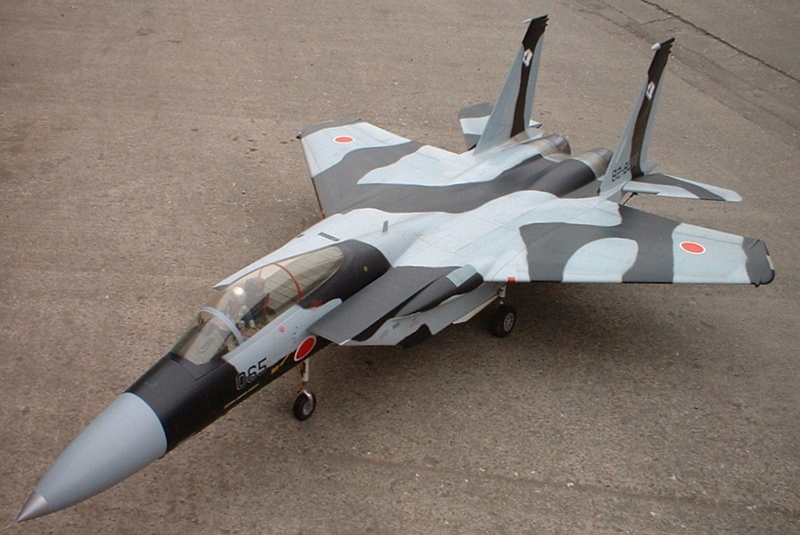 F-15 with scale options: 1/9 scale pilot, airbrake, gear doors etc. Wings and stabs are easily removable for transport: no need to disconnect any air lines or servo extension wires. 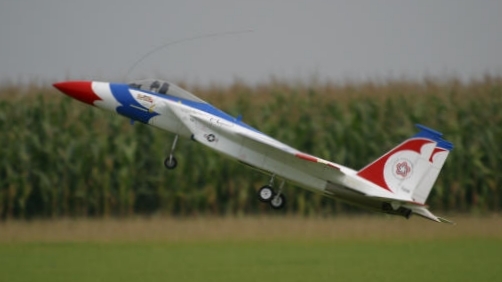 The excellent slow speed handling allows the model to be flown from smaller (grass) fields. About to touch down with airbrake deployed in a perfect landing attitude! We have two dedicated Turbine versions. Kit PA130 is suitable for Turbines from 50 up to 100 N (12 to 22 lbs) of thrust and kit PA120 is suitable for Turbines from 100 up to 160 N (22 to 37 lbs) of thrust. 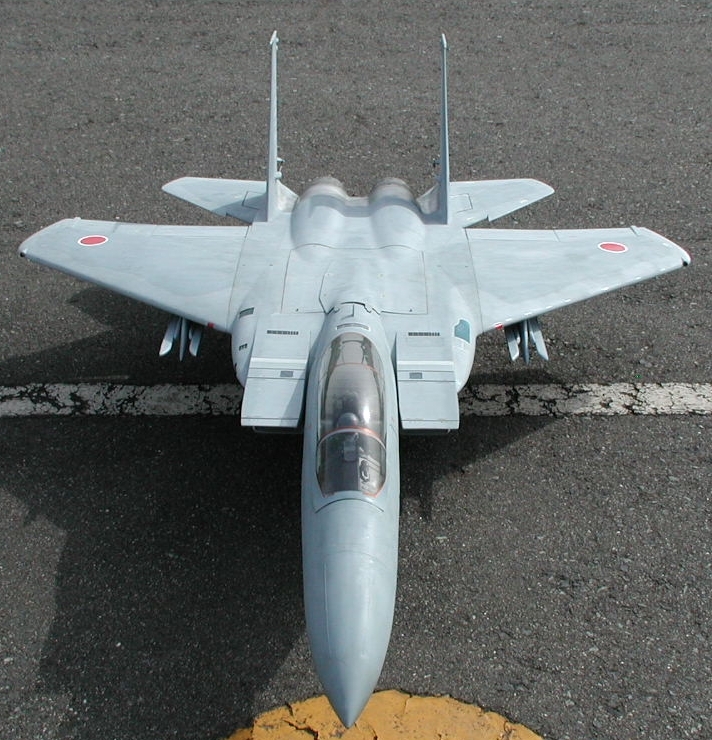 Both kits are substantially reinforced with carbon in strategic areas, while the PA120 kit is even further reinforced to cope with the higher thrust. 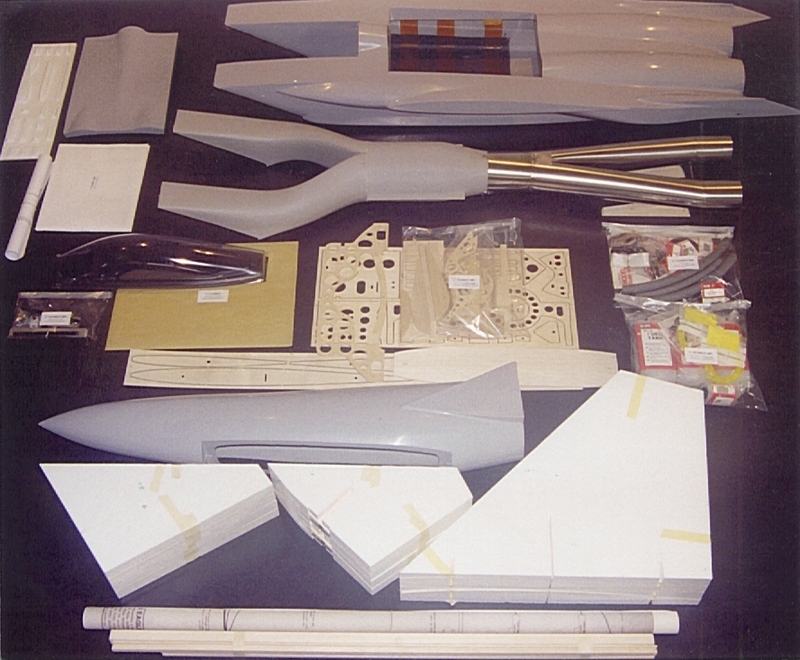 A rudder installation kit (PA192) is available separately (required in the US by AMA). 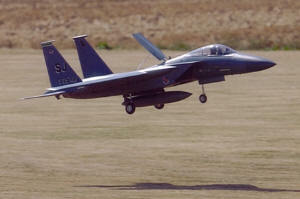 Note that we were the very first to manufacture a successfull R/C jet kit for the F-15. 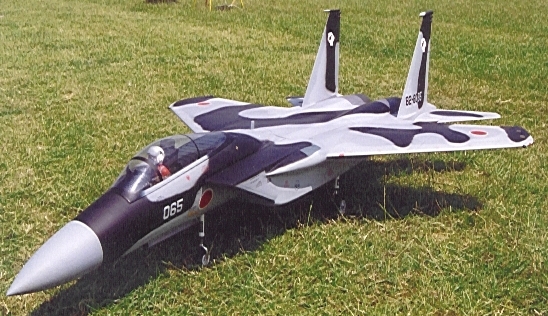 This model is in production since 1987 with many improvements incorporated over the years. 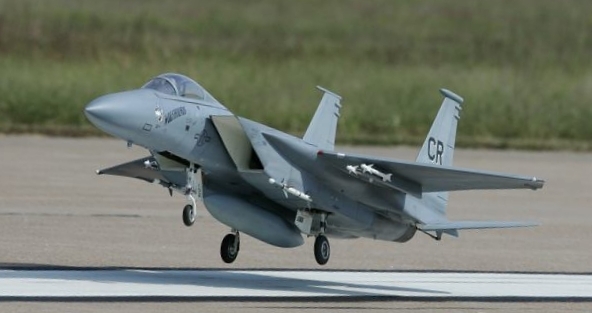 So if you want the very best flying R/C F-15 jet model anywhere in the world, this one is for you. 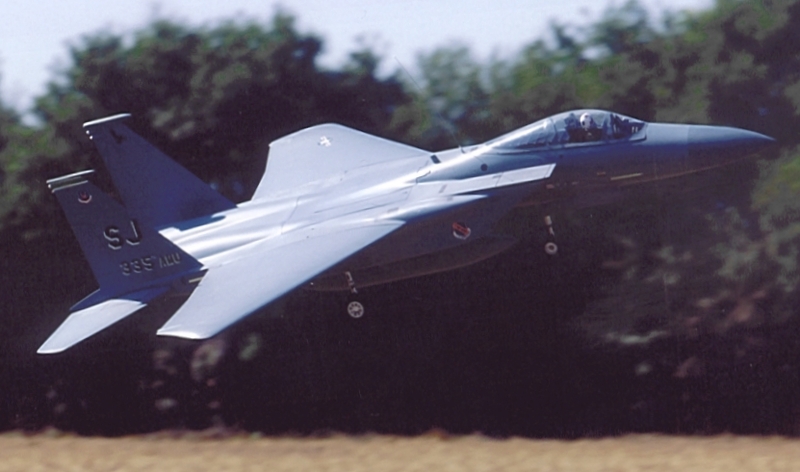 Note: the moulds for this F-15 model are aging resulting in some cracks in the corners which show up in the finished epoxy/fibreglass components. The structural integrity is not affected, only cosmetics. We do not intend to invest in new moulds, so please accept that the cosmetics of the fibreglass components in this kit is not as good as in our other kits. 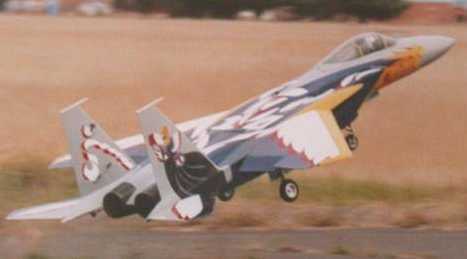 Lance Campbell, USA, demoed his F-15 in front of the full size Thunderbirds! 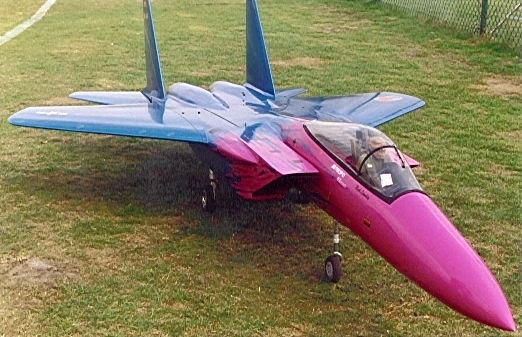 Frank Laguda from Australia can be proud of his beautiful F-15!